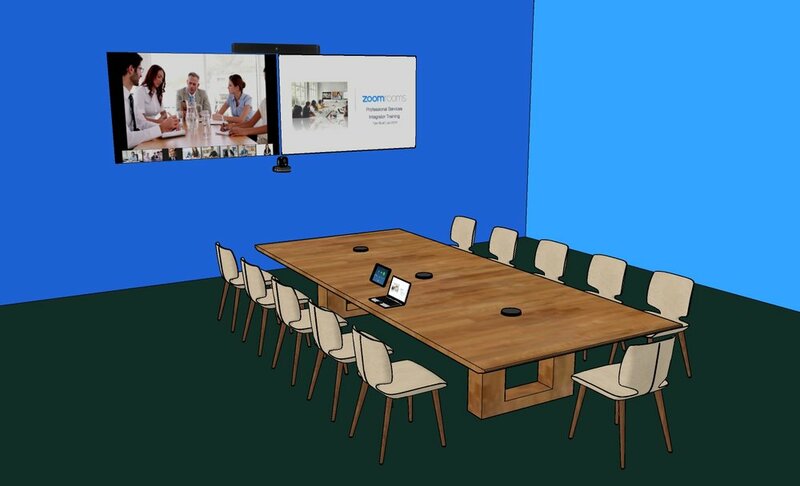 Zoom Room hardware packages for different size meeting rooms. 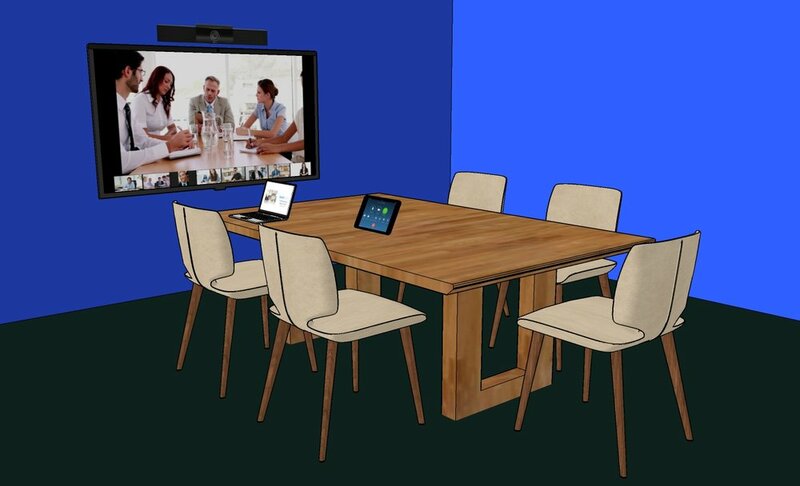 For a huddle room sitting 2-7 people we recommend 1 TV display, an integrated camera, microphone and speaker device such as the Aver VB342, which connects to the Zoom Rooms computer. All equipment is wall-mounted behind the display allowing for easy access and installation. 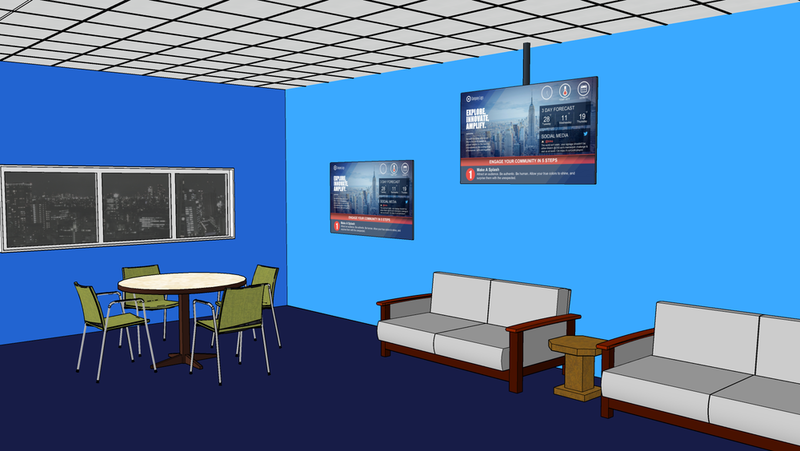 We also offer vendor specific Zoom Rooms which are built around a single vendor for a variety of room types and are suited for corporations looking to standardise on a vendor for global consistency.